So, how are the resolutions going? I’ve bitten my nails whilst staring at an Excel spreadsheet for too long and was sub-consciously gnawing whilst losing the will to live. Sober January has been broken with one glass of red wine which I must point out was given to me by the hand of god in Tooting Tram and Social [who knew that’s where he answered prayers?! Not Lourdes people but Tooting Broadway!]. My friend went to the bar and the barmaid accidently misunderstood the order so I could hardly let it go to waste. Also seeing as I have found out [using my new iphone calorie tracker] that red wine has about the same calories as Orange juice and Lemonade – I am not that fussed. Well at least exercise is on the up. I am undertaking Broomball this week after being roped in by my friend Lorna, which involves running around on an ice rink in trainers in a hockey style game. My housemate thinks I will love it, but this is the same housemate who is also friends with my ‘so called’ friend Lorna. If I end up in A&E at least I’ll have plenty of people to blame – I’ll keep you posted. Hopefully this rain filled weekend was an excuse for reading – it was for me – that and staring at my ironing hoping that god would answer that prayer too. Turns out he is only into the ‘water into wine’ game this week, which from my Catholic Girls School knowledge I believe is his regular party trick. Perhaps if I take the ironing to Tooting I might have more luck. This week marks part-two of looking at the ‘Classic’ and I’m going to introduce a man I have a long standing love affair with. The fact he was dead before I was born does not hinder me, he speaks through the written word. If I could invite anyone to a dinner party he would be in the first round of invites. To me Mr James is an A-list writer and if you are going to embrace a classic as a virgin or as an experienced book lover you need to get yourself a little Henry in your life. The first time I read anything by Henry James was when The Portrait of A Lady hit the box office [John Malovich and Nicole Kidman would both get Dinner Party invites] and I was given the book at Christmas. This book was large and sat on the shelf for quite some time because it seemed like it was going to be a hard slog. For some reason or another it found its way into my bag on what was going to be quite an uneventful beach holiday with my parents when I was 17. There on a beach in Tunisia this book became one of my all time greats and also handily doubled as a weapon to swipe off ‘Looky Looky’ men from my sunbed [‘No I don’t want a ‘Roolex’, ‘Channel’ or a ‘Guci’ now bugger off Ralph is VERY VERY ill’]. Don’t expect happy endings in abundance from James, he wrote The Turn of the Screw which has been hailed as the quintessential ghost story, Daisy Miller the head strong, flirtatious girls whose life is cut short tragically and The Golden Bowl where a marriage fractures like the crack in the bowl given to the happy couple. James’ style is on the whole direct, he dictates the story and although it can get flowery in parts what really makes his writing stand out is the story. Henry James will make you cry. His characters are afflicted with thought provoking moral dilemmas with romance as the backdrop. 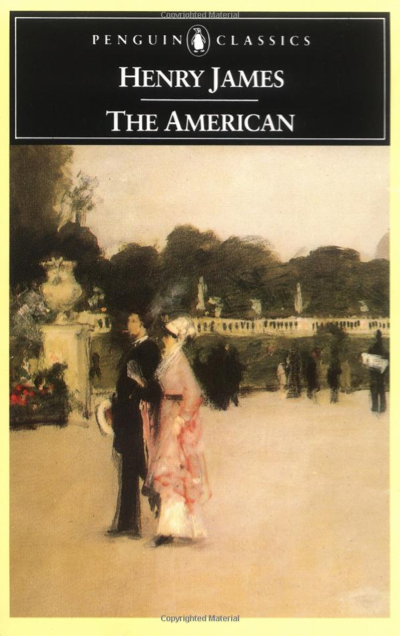 This weeks’ book is The American, which I didn’t know much about as a Henry James book, but it has again left me wanting more. The American in the title is Christopher Newman, a business man from America who has brought himself up from a poor family to be a self made millionaire. He comes to Europe to travel and to take time out from the long slog of work which has brought him to this point; he also decides to look for a wife. In France he falls in love with the beautiful aristocrat Claire de Bellegarde and she with him, but she is from the Old World and he from the New. Although his money is a prize worth having can her mother and eldest brother truly accept Newman? The answer is no. They reject his proposal to marry Claire but at what cost to her and to themselves? The story is heightened when the youngest lovable romantic brother Valentin de Bellegarde fights a duel for his honour over a woman and is badly injuryed. Newman rushes to his side and Valentine exposes to Newman a dark secret in the families past which he can use to black mail them into getting what he wants. The moral dilemma is should Newman expose them for personal gain or accept that he has lost? The book will leave you on tenterhooks and Henry James’ beautiful depiction of Paris before the turn of the century will leave you utterly astounded. To me the beauty of James is that he manages to make you believe that you are there, within the Louvre watching the young ladies make copies of the artwork. Within the next instant you are at Claire and Newman’s engagement party watching the dresses on display float past – some with deep velvet covered in moons!! No description is futile, although flowery Henry James has opened a window into the past for all of us to see. You only need read on to be rewarded – Lauren. 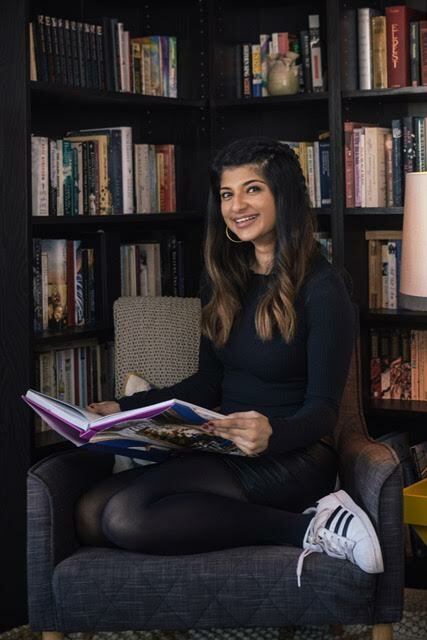 Rohini is a London based freelance journalist and trend forecaster for the design industries. She has worked for Elle Decoration, Living Etc, Houzz and Design Sponge amongst others. Yes I loved the bold Henry myself until that is I read colm toibins the master in which the aforementioned gets down and dirty with the help ( male) . That kinda ruined mr james for me somehow.Fyi Colm is like God right now in irish literery circles,cant say a word against….